I know this doesn’t really have anything to do with anything but I just found out that Hot Leg are supporting Extreme. I already have a ticket to see Extreme! I went o see Hot Leg a couple of weeks ago and they were brilliant! 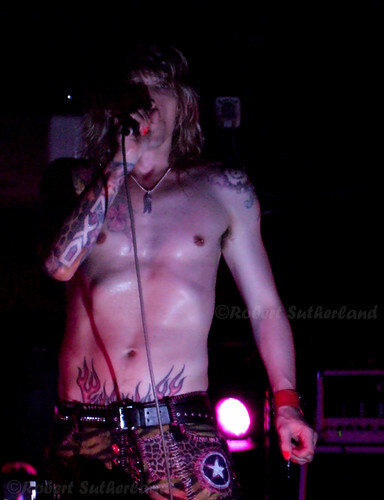 Here’s a photo of Justin Hawkins strutting his funky stuff that night! Notice the crazy mans tatoo of the logo for a DX 7 keyboard. Now that’s commitment! !